The French Association for CyberSystemics - AFSCET - What for? Why? Who? How? The International Academy for Systems and Cybernetic Sciences - IASCYS - What for? Why? Who? How? to Explain The Issues of the Fighting Steps and the Escalade of Violence between Mankind and the Wild. The Societal and Environmental Responsibility of Humanness in The Fighting Steps and the Escalade of Violence between Man and the Wild. The Associations for the Reciprocal and Mutual Sharing of Advantages and of Disadvantages. 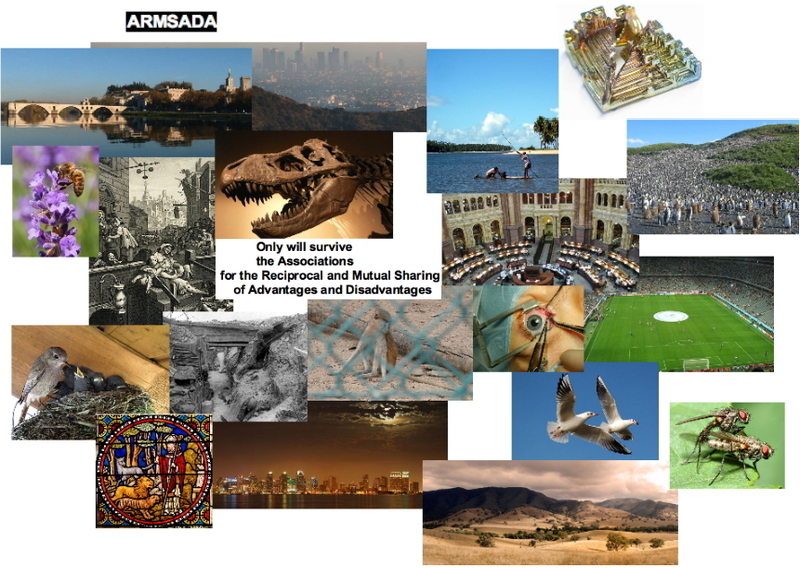 ARMSADA : The way to be resilient and sustainable the living systems are running through. SOCIETAL AND ENVIRONMENTAL RESPONSIBILITY OF MANKIND. “acteurs clés-de-voûte“ de l'évolution créatrice du vivant “vivant“. le (ou les) auteur(s), la date, le titre, l'origine, la pagination, le lien internet.